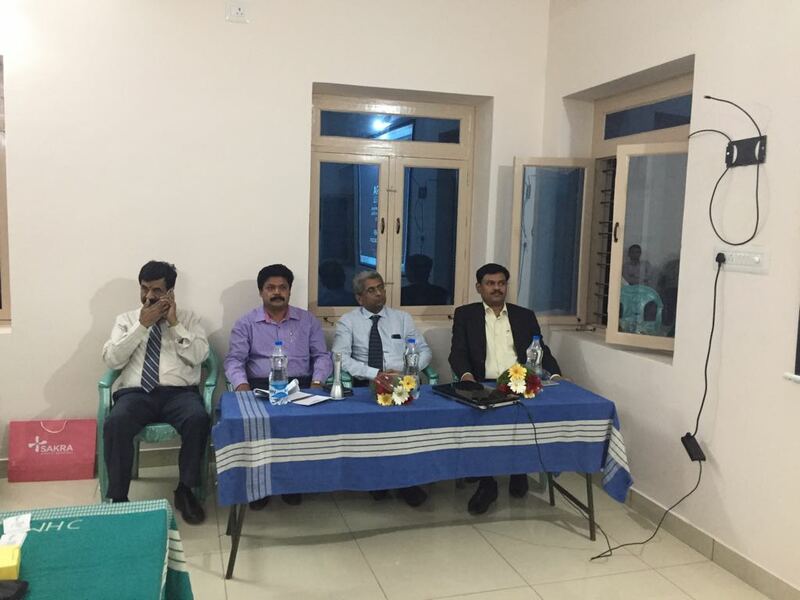 This is also called Total knee Arthroplasty, which is an option when the knee joint pain deters performing the daily activities and other treatments don’t bring relief. 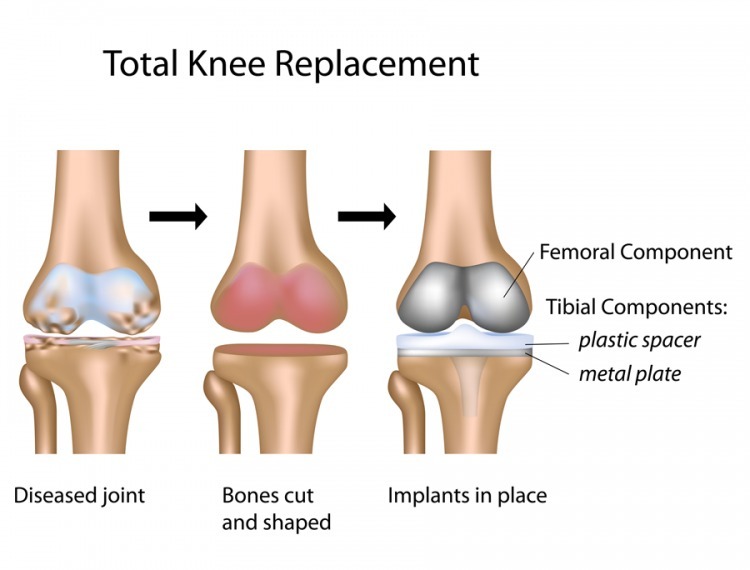 Usually in a Knee Replacement surgery, the doctor removes the damaged bone and cartilage of the knee joint and replaces them with parts constructed from metal, hard plastic or polymers. This prosthesis will help reduce pain and improve functionality. Osteoarthritis: wear and tear leads to softening and wearing away of the cartilage that cushions the knee bones. Post-Traumatic Arthritis: This follows a serious knee injury where the bones surrounding the knee fractures or torn knee ligaments might damage the articular cartilage over time. Knee pain and limited knee function ensues. Knee deforms with a bowing in or out. When other knee joint paint treatments, medications and physical therapy don’t bring relief. Knee joint surgery preparation by taking blood tests, ECG, MRI or X-ray and a physical examination of the knee is done. Major dental procedures and urinary evaluations, if needed, have to be done, prior to this surgery. Regional: Numbs the region below the waist. Knee is bent to expose all surfaces of the joint. Surgeon will begin by making incisions of about 6-10 inches long. Kneecap is moved aside and damaged joint surfaces are removed. The artificial joint is then attached and knee is tested by bending and balanced and then incision is closed. The physiotherapist will provide training to the patient and the caretakers on how to handle things.